InshaAllah, that we are entering the holy month of Ramadan, and the holy month of Qur’an al-Majeed, that we are reading holy Qur’an, that memorizing holy Qur’an, meditating and contemplating upon holy Qur’an. And understand that each word, especially in reference to Allah ‘Azza wa Jal’s Qur’an, which is Allah ‘Azza wa Jal’s, not created Divinely Speech. Means we have to keep always that in the heart that it’s, Qur’an is not created. It’s Allah ‘Azza wa Jal’s Divinely Speech. And to just understand or towards the understanding of what the huroof of the holy Qur’an is. It gives us an understanding of what is it that is going to be dressing us, what lights are going to be dressing us, what is the benefit and the power upon the soul from the holy Qur’an. Means that to draw our attention to the qaf and that this is the source of the oceans of power, that we want to be dressed by these lights. That qaf is dressing the noon. That noor that’s coming from the noon is not like any other noor, that we have many different layers and levels of noor. But this noon and this noor is coming from the qaf. That is the light that we are asking to be dressed by, that is the light in which dresses the soul of its eternal realities. Then Maulana Shaykh directing us to understand, because we want to be dressed by these realities, not just you hold the furqaan and keep reading it and not understanding, you know year after year after year you are reading, but not thinking and contemplating with the heart that what are you, what are these letters, what are these words, what are these powers, what are these oceans of power, that what type of noor and light and how am I going to reach to that light, to the secret of holy Qur’an? Why are awliya Allah carrying the secret of holy Qur’an? 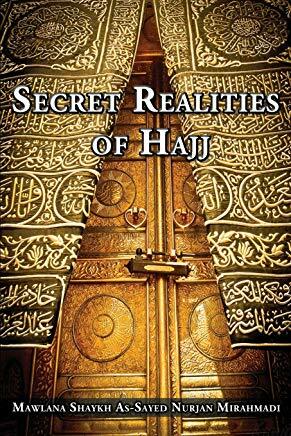 ‘Cause me, you, we all read the same kitaab but why are we not getting that reality and understanding that reality? Means they teach us that: make your tafakkur and your contemplation. You want to be dressed by that Qaf wal-Qur’an al-Majeed that’s coming to the noon ن. That noor نور is dressing us. Then how to understand that noon? Suratul Qalam: ‘Noon, wal-qalam’, Noon wal-qalam. Means now that becomes big ocean, that you want the noon? Allah testifies by the qalam. So one, in our life, they say, “The pen is mightier than the sword.” So take a life of qalam, take a life of being a student. Take a life of seeking knowledge and realities. As much as we are using the qalam to reach realities, as much as we are becoming a seeker. As we use the qalam, it begins to teach us the qalam is the secret of manifestation. The nobility of our creation is in the thumb. What separates us from a monkey or a baboon is the thumb, so that we can hold a qalam. 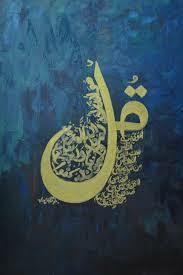 The qalam, as soon as you write, something is manifesting. As soon as you draw something, something is manifesting. Means that reality of the qalam is in the physical, so we take a life of seeking, a life of reaching and asking to reach towards realities, to be always a student of realities, to move towards that. Then Maulana Shaykh begins to teach that: always contemplate beyond the physical, that into the timeless reality. What is Allah ‘Azza wa Jal mean by qalam? There’s no hand up there in the sky drawing something. Means that each of the huroof must be standing for something. Because when we said before, you say cake, and everybody says, “Oh I have the cake before.” No but what makes the cake is important. Does it have the flour? It has salt, has some sugar. What are the elements that are making that to be powerful? So when we go towards a timeless reality, the qalam is no longer the importance of a physical pen but must have a reality and a secret within. 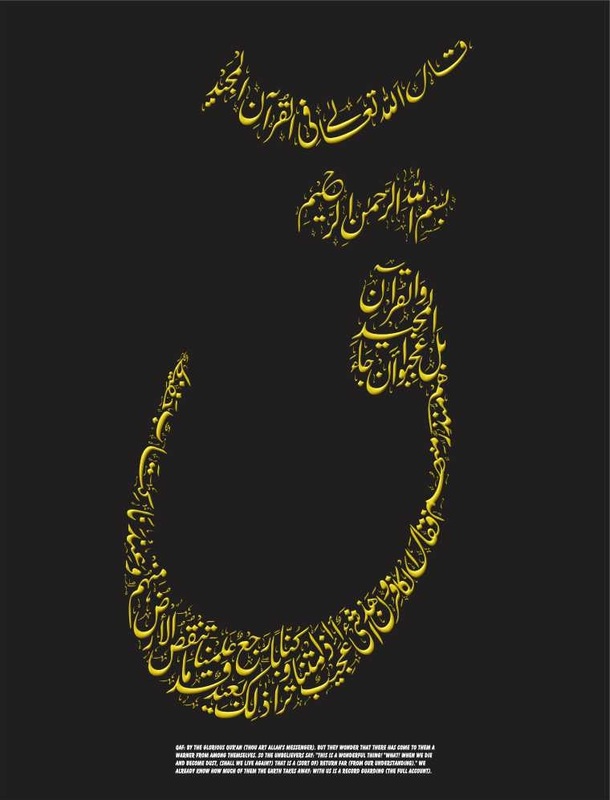 What does the Letters of Qalam قلم Reveals? Then Maulana Shaykh’s teaching begins to teach, okay qalam because we’re trying to understand how to reach to that ‘Noon wal qalam’, that that qalam قلم has a qaf ق. Again, this qaf is appearing. Qaf wal-Qur’an al-Majeed means Allah ‘Azza wa Jal’s directing us that when you see that qaf ق , it’s a qudra. It’s Allah’s Divinely Qudra. 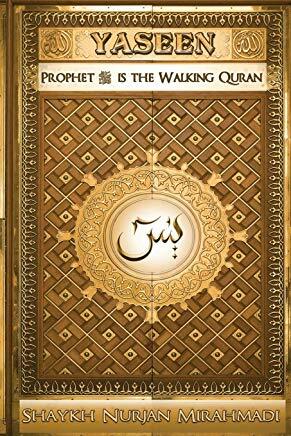 It is the source of power that making this Qur’an to come out. And that’s why the holy Qur’an, it is the source of power that encompasses everything. 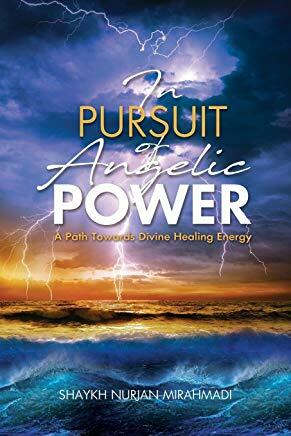 Allah ‘Azza wa Jal says if it’s living or dead, if it can bring the dead to life, everything is in that, not in the book but in the qudra and the oceans of power of Allah ‘Azza wa Jal’s uncreated Divinely Speech. Means always remember within our hearts: uncreated Divinely Speech. 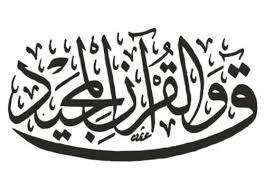 That qaf ق is moving to a lam ل. Lam signifies a tongue, lisaan al-haqq, Because Allah ‘Azza wa Jal is a hidden treasure wanting to be known. Just became the qaf and the lam Allah ‘Azza wa Jal begins to describe in holy Qur’an, “If I reveal My Qur’an to the mountain,” Because we are in creation small. We think of Mount Everest and how many thousands of feet in the air, Allah ‘Azza wa Jal says, “If I reveal My Qur’an to the mountain, qaashi’a, it will be dust.” But it comes to the heart of Sayyiduna Muhammad (sallallahu alaihi wasallam), nothing, nothing…. Now we’re beginning to understand the greatness of Prophet (sallallahu alaihi wasallam) from revealing holy Qur’an to creation. Revealing it in the physical, but what did He reveal in the world of light? 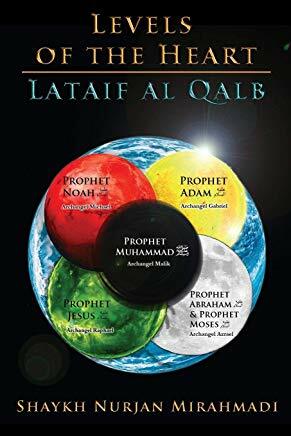 Allah ‘Azza wa Jal teaching that, that qaf and lam when they come together, it denotes ‘qul’ قل . Qul means say. Allah’s Divinely Qul قل , nothing can hold it. There is not an angel that can hold Allah’s Qul, there is not a prophet that can hold Allah’s Qul, there is not a human being or anything in creation that can contain or hold Allah’s Qul قل except the heart of Sayyiduna Muhammad (sallallahu alaihi wasallam). And Allah ‘Azza wa Jal clarifies that because the qalam قلم is qul قل to the meem م . Qul is directing itself to the meem. 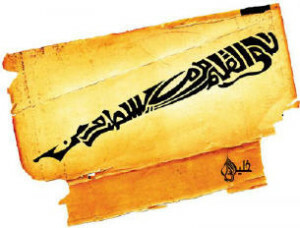 The meem, if you look, [the shape of it is like pen] is a qalam قلم . The meem that sticks down is the Pen of Allah ‘Azza wa Jal, is the ocean of Manifestation of Allah ‘Azza wa Jal. When Allah ‘Azza wa Jal wants to manifest and wants creation to manifest, merely, “Qul,” into the heart of Prophet (sallallahu alaihi wasallam) in the world of souls. And Sayyiduna Muhammad (sallallahu alaihi wasallam), ‘kun fa yakoon’, means immediately manifesting by the order of Allah ‘Azza wa Jal. Qalam al Qudra قلم القدرة, the Pen of Might, the Pen of Power, it is the manifestation through the heart of Prophet (sallallahu alaihi wasallam). That is the noor. That is the Muhammadan noor (light), that we trying to reach to that noon, trying to reach to the holy Qur’an, and Allah ‘Azza wa Jal directing us that, “What you want, I am not in heavens and I’m not on the earth but I am in the heart of my believer.” And who is Allah’s believer? 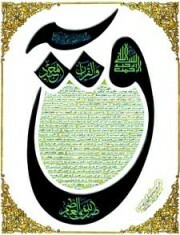 Sayyiduna Muhammad (sallallahu alaihi wasallam). Means they begin to direct us that what you are looking for, of Allah ‘Azza wa Jal, of what we are looking for of realities is in the heart of Sayyiduna Muhammad (sallallahu alaihi wasallam). There must be a tashreef, a respect, a love, of salutations constantly upon Prophet (sallallahu alaihi wasallam) to enter into the heart of Sayyiduna Muhammad (sallallahu alaihi wasallam), to enter into the nazar of Sayyiduna Muhammad (sallallahu alaihi wasallam) because it begins to dress us from that light. When we begin to understand the greatness of Prophet (sallallahu alaihi wasallam). That how is the soul of Prophet (sallallahu alaihi wasallam) able to manifest Allah ‘Azza wa Jal’s Divinely Speech that is not created. This is azimat un-Nabi (sallallahu alaihi wasallam). Allah’s uncreated Power is not created His holy Qur’an but His ocean of Power is moving through the heart of Prophet (sallallahu alaihi wasallam). How is it possible? It’s beyond imagination. 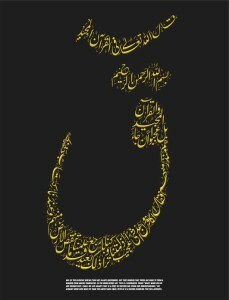 When Allah ‘Azza wa Jal wants to be known, be known through the heart of Sayyiduna Muhammad (sallallahu alaihi wasallam). So they begin to direct us that, that’s the power of the salawats, that’s the power of Mawlid an-Nabi (sallallahu alaihi wasallam), that’s the power of the love of Prophet (sallallahu alaihi wasallam). Means then Prophet (sallallahu alaihi wasallam) directs us towards our iman, that we have to love Sayyiduna Muhammad (sallallahu alaihi wasallam) more than we love ourself, with our Islam and our iman perfecting, it becomes Dar ul-Ihsaan, the Abode of Perfection; to worship as if you see Allah ‘Azza wa Jal. If you don’t see Allah ‘Azza wa Jal, know that He sees you. Bihurmati Muhammadi Mustapha wa bi sirri-Suratul Fatiha.